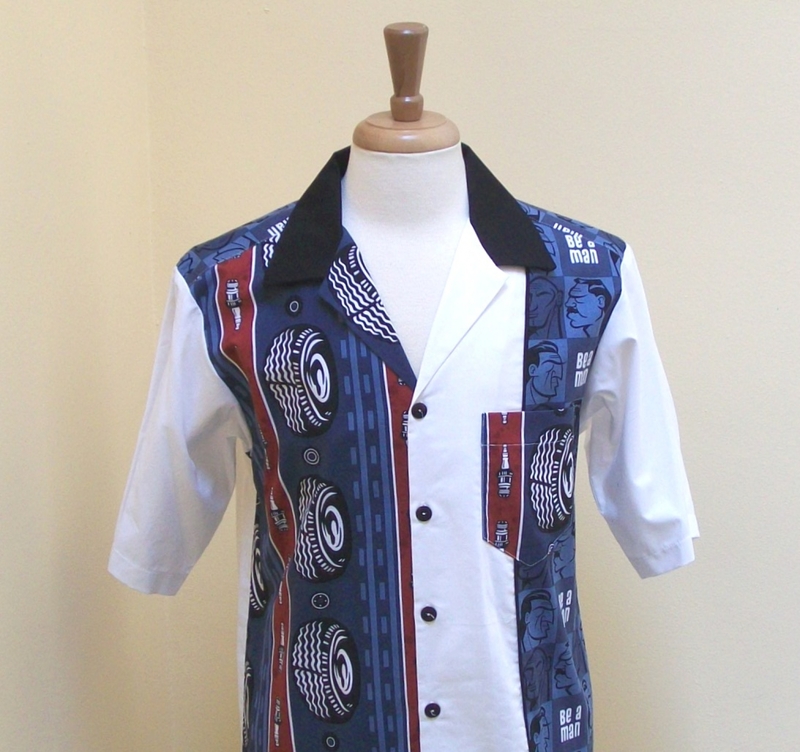 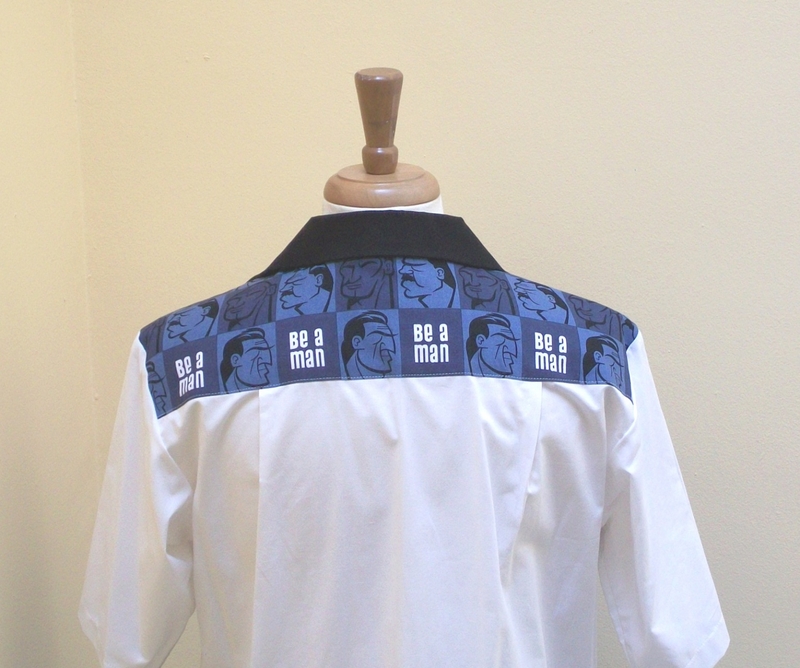 Single split left front of white, black stripe, contrasting print and pocket. 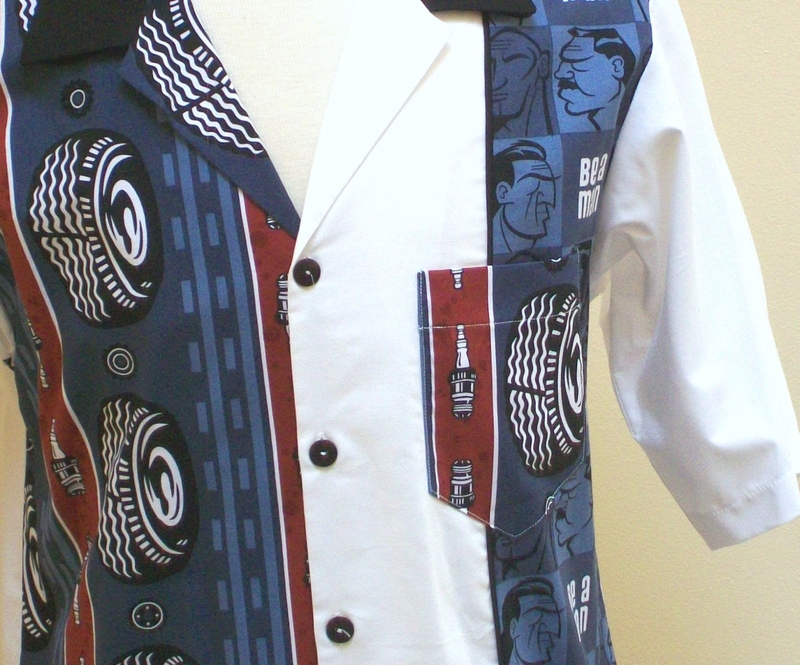 Right front full print, black collar and white body with black buttons. 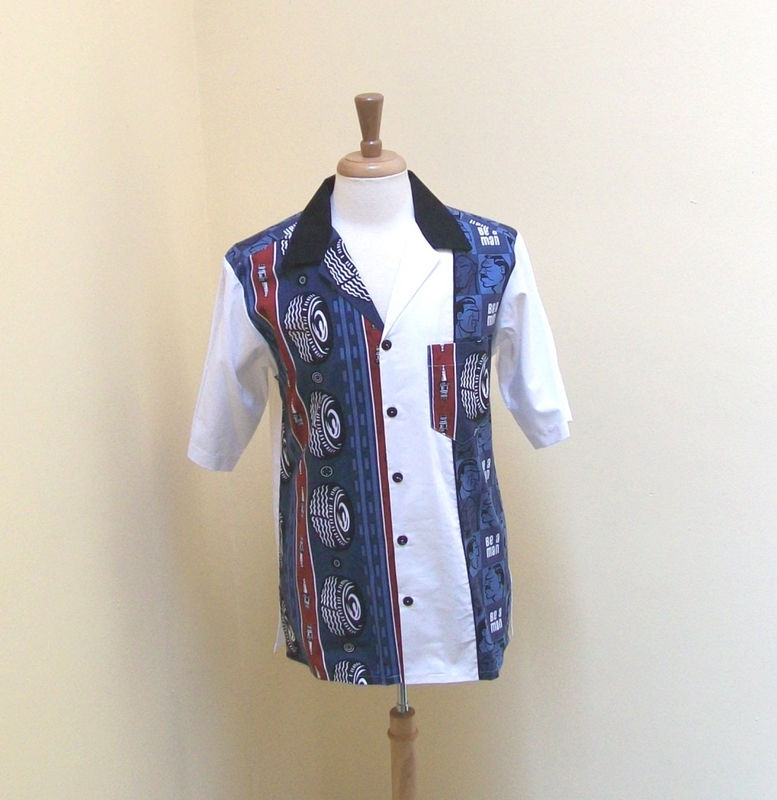 Back yoke is contrasting print.